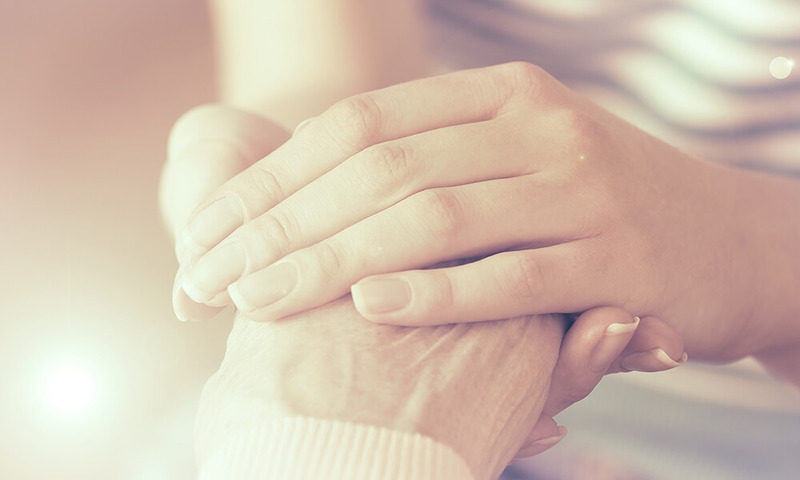 With over three years of hospice volunteering under my belt, I have been somewhat conditioned to immediately feel a twinge of sadness when the phone rings – with a number I don’t recognize. In previous blog posts, you will remember that our Monday mornings for the last year and a half have begun with a visit to Mary. Mary is her real name, and I am happy to use it here with permission from Val. You may also recall that Mary was never a client of Buckley’s. She saw us walk through the building on the way to an assigned client, and she asked if she could pet him. Every week since, it’s the way Buckley and I began our Monday mornings. Mary fell a couple weeks ago. She broke her hip. We visited her a few days later, and after the visit, I went back out into the car and just cried. I knew what a broken hip meant. Somehow to me, Mary was infallible. Week after week, she was the same Mary – always slept well, always ate well, and she knew and cared for the other residents. She talked of her family all the time, and she shared the most wonderful stories about her husband and life growing up. We became close. I wasn’t there to check up on her. I was there visiting a friend. “Yes. We will be there. Has there been a change?” I asked. “I think that is very possible,” I said. We will be there shortly. I used to attempt to compartmentalize emotion while visiting hospice clients, but I discovered that that was just silly. The simple truth is that you just can’t help but to connect, and the connection is an emotional investment with a full awareness that one day very soon you will have to say goodbye. With every connection I have made, I have experienced grace, compassion, kindness and love. Sadness for sure – but that is the sacrifice I am willing to pay. When we got there, Buckley ran into the room, but things were different. Mary wasn’t in her chair. Instead, we sat at her bedside. I took her hand. “Mary – we are here. Buckley is right beside you. We are both happy to see you. Thank you for waiting for us.” There was no stopping the tears this time. We sat for some time. It was good to see Val again. She explained to us that Mary had insisted that Val remember to give Buckley the two Beanie Puppies that he always had to have in his mouth as they visited. “You should feel very proud – I didn’t even make the list!” Val said, laughing through her tears. We took the Beanie Puppies, we hugged Val, and then I turned to Mary and held her hand. It would be a day that Buckley would provide just as much comfort to me as he does for so many others.